The Feast of the Immaculate Conception is celebrated each December eighth, which this year is also the second Sunday of Advent. Pope Pius IX (his pontificate was 1846-1878), who had a life-long devotion to the Virgin Mary, issued “the divine dogma of Our Lady’s Immaculate Conception” in the Basilica of St. Peter, Rome, on December eighth, 1854. The firing of a cannon at the Castel Sant’Angelo and the ringing of the bells of the churches and basilicas in Rome followed Pius’ proclamation, which he issued before 170 bishops and numerous pilgrims. 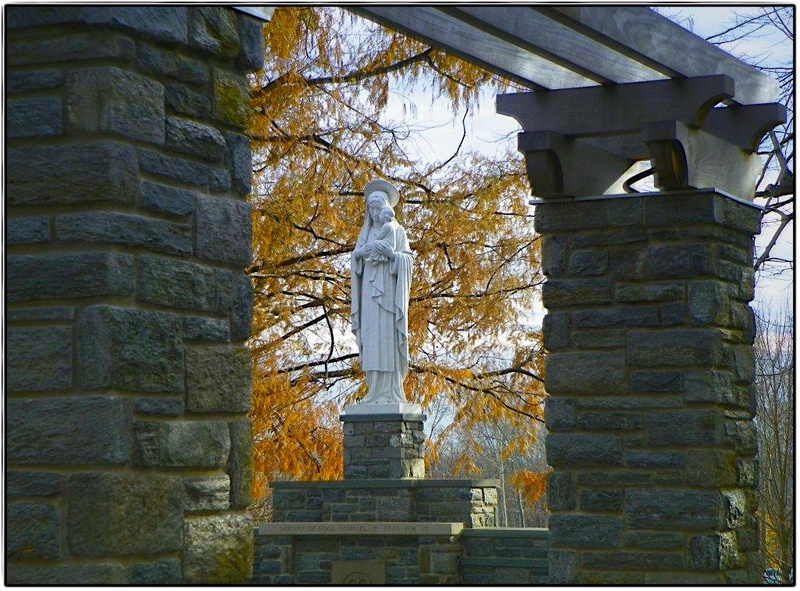 Villanova’s Grotto is a Shrine to Our Mother of Good Counsel. The Virgin Mary as Our Mother of Good Counsel is the protectress of the Augustinian Order, and they have always promoted devotion to her.